Pink Intuition Roses have uniformly large heads regardless of stem length. 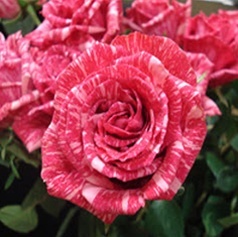 Pink Intuition has a unique marbling effect with both light and darker pink hues in the petal. Pink Intuition is the pink counterpart of the Red Intuition rose, and is are widely used for wedding flowers and spectacular arrangements. Free Shipping! 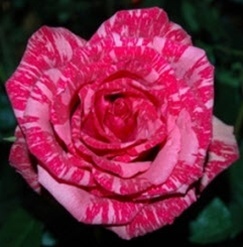 Wholesale Pink Intuition Roses are widely used for wedding flowers and events. 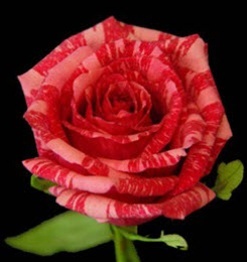 Availability: Wholesale Pink Intuition roses are available year-round from our flower farms. We will make every effort to fill your order with the variety you specify. However, due to variations in demand and growing conditions, your preferred variety may not be available at shipping time. In that case, our farms will substitute a variety with similar characteristics. Packing: Because their heads are so large, Pink Intuition roses come in bunches of 12 carefully packed stems. Within each bunch, the roses are packed in two layers for protection during shipping. From a top angle, it may appear that you only have 6 stems in the bunch. However, the remaining 6 roses are in the layer below. Each bunch consists of the same color and variety rose. Prices: are subject to change due to market conditions, especially fuel surcharges due to the volatility of oil prices. These prices do not apply at least two weeks before Valentine's or Mother's Day.